By the time of Stowe’s birth in 1811, Americans had been arguing about slavery for decades. This debate reached fever pitch during her childhood, when the Missouri Compromise banned slavery above 36°30’ north latitude. Stowe’s family opposed the Compromise because it allowed Missouri to enter the Union as a slave state. Her father, prominent Congregationalist minister Lyman Beecher, preached several anti-slavery sermons in response to the issue. Because few slaveholders inhabited Stowe’s home state of Connecticut, her New England childhood kept her secluded from slavery's true horrors. However, Stowe’s family moved in 1832 to Cincinnati, Ohio, right across the border from slaveholding Kentucky. As a teacher at a school for former slave children there, Stowe learned first hand about the plight of southern slaves. Some of the things she saw and heard would become stories in her famous book. Knowing the racist tendencies of northerners, Stowe understood that pleas for racial equality would do little to sway public opinion. Instead, she focused on themes of religion and the sanctity of family, of human compassion and cruelty. 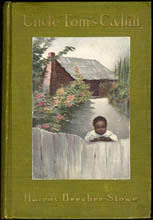 Her complex narrative weaves together the stories of Uncle Tom, who through a series of slave trades winds up in the hands of the vicious and greedy Louisiana plantation owner Simon Legree; Eliza, who flees with her son after overhearing that he is to be sold away from her; the St. Clares and Shelbys, benevolent white families in New Orleans and Kentucky; slave hunter Tom Loker; and a number of other white slaveowners, African slaves, and freed blacks. Stowe based many of the characters on real people, such as a Maryland-born slave named Josiah Henson, who escaped to Canada in 1830 on the Underground Railroad. The Free Soil newspaper National Era paid Stowe $300 for 40 installments of the melodrama, “Uncle Tom’s Cabin, or Life Among the Lowly.” It published in serial form for ten months, beginning with the 5 June 1851 issue. Response to the stories encouraged Stowe to publish them as a novel. 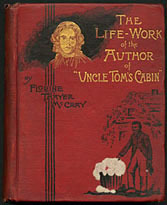 Released on 20 March 1852, Uncle Tom’s Cabin sold 10,000 copies in the first week and 300,000 within a year. By 1857, the book had been translated into 20 different languages, and sold more than two million copies worldwide. Next to the Bible, it was the best-selling book of the nineteenth century. 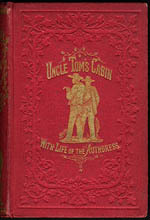 Although Uncle Tom’s Cabin earned much acclaim, it also has had its detractors. It was banned as abolitionist propaganda in the South, and a number of pro-slavery writers responded with so-called “Anti-Tom literature.” These novels portrayed slavery from the southern point of view, in an attempt to show that Stowe exaggerated her depiction of slavery’s evils. Southerners blamed Stowe's "inaccurate" interpretation on the fact that she never had set foot in the South. Stowe responded in 1853 with A Key to Uncle Tom’s Cabin, a collection of slave narratives, newspaper clippings, and other facts that verified the details in her novel. “Tom shows” that began to appear while National Era still was serializing Stowe’s stories deepened the stereotypes. Although Stowe never authorized theatrical adaptations of her book, lax copyright laws allowed for several companies to stage plays based on the novel. Many of these were minstrel shows that followed the stories loosely, using blackface actors to present exaggerated caricatures of the black characters. Film adaptations began in 1903, eleven years after Stowe’s copyright lapsed. The story served as the basis for at least six movies, including a 1987 made-for-TV version starring Phylicia Rashad. A number of literary adaptations began to appear after the copyright expired as well, including several that soften the harsh realities of Stowe’s story for a juvenile audience. 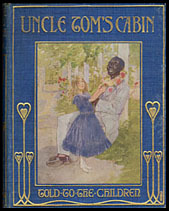 The original Uncle Tom’s Cabin has been reprinted by many different publishers, both in America and for an international audience. Publishers' Bindings Online contains more than 100 examples of the novel, many of them from UW-Madison's William B. Cairns Collection of American Women Writers 1650-1920. There are currently 151 different editions of Uncle Tom's Cabin in the PBO database, including numerous foreign editions from all over the world! Please click here to search the database for these records. Birdoff, Harry. The World’s Greatest Hit: Uncle Tom’s Cabin; Illustrated with Oldtime Playbills, Daguerreotypes, Vignettes, Music-Sheets, Poems, and Cartoons. New York: S. F. Vanni, 1947. Hovet, Theodore R. The Master Narrative: Harriet Beecher Stowe’s Subversive Story of Master and Slave in Uncle Tom’s Cabin. Lanham, MD: University Press of America, 1989. Johnston, Johanna. Harriet and the Runaway Book: The Story of Harriet Beecher Stowe and Uncle Tom’s Cabin. New York: Harper & Row, 1977. Lewis, Gladys S. Message, Messenger, and Response: Puritan Forms and Cultural Reformation in Harriet Beecher Stowe’s Uncle Tom’s Cabin. Lanham, MD: University Press of America, 1994. Lowance, Jr., Mason I., Ellen E. Westbrook, and R.C. De Prospo, eds. 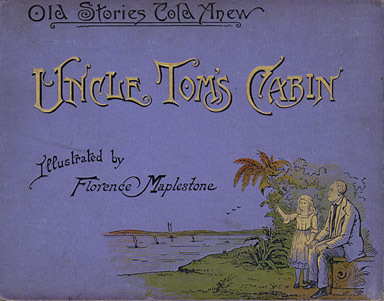 The Stowe Debate: Rhetorical Strategies in Uncle Tom’s Cabin. Amherst: University of Massachusetts Press, 1994. Meer, Sarah. Uncle Tom Mania: Slavery, Minstrelsy, and Transatlantic Culture in the 1850s. Athens: University of Georgia Press, 2005. Sundquist, Eric J. New Essays on Uncle Tom’s Cabin. New York: Cambridge University Press, 1986.